The new governor says he is making good on campaign pledges. Florida’s new governor on Tuesday unveiled a spending plan to begin fixing the state’s troubled waters while announcing efforts to change the way U.S. army engineers manage Lake Okeechobee, a lake half the size of Rhode Island and a source of much of its woes. At a press conference Tuesday at the Rookery Bay national preserve, a watery sanctuary of mangroves and inlets along the northern stretch of the Ten Thousand Islands, Gov. Ron DeSantis said he’s proposing to spend $625 million on water resources projects in a budget to be published Friday and $2.5 billion over the next four years — a $1 billion increase, he said. It will include $360 million for Everglades projects. It also will double the amount for an Everglades reservoir aimed at reducing dirty discharges from the lake to $107 million. He also wants to spend $150 million to improve water quality and $50 million to restore springs in Central Florida. Earlier this month, DeSantis vowed to make the state’s algae-plagued waters a priority in a sweeping executive order that promised $2.5 billion for environmental work, created a chief science officer along with an office to prepare for rising seas, and formed a task force to tackle the blue-green algae blooms flowing from the lake. DeSantis said he was making good on a campaign promise to address the state’s environmental problems after a devastating red tide slammed the Gulf Coast during the heated election. The tide coincided with toxic algae blooms in parts of the Caloosahatchee and St. Lucie rivers. The double whammy left Gulf beaches piled with dead marine life and choked canals with stinky chunks of algae that forced some to flee their homes and shutter businesses. 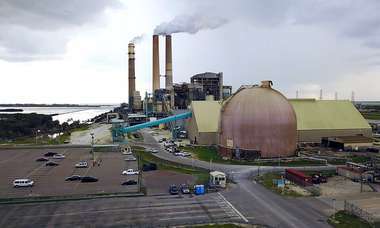 In an effort to stop the pollution more quickly, DeSantis also said he’s in talks with President Donald Trump to order the U.S. Army Corps of Engineers to keep the lake about two feet lower for part of the year. “That’s the easiest path to no discharges, to manage the lake lower in the dry season,” he said. But the idea is sure to draw objections. The Corps now keeps the lake at about 12.5 feet during the dry season to reserve enough water to irrigate farms and send water to utilities. The levels were set in a regulation schedule created in 2008 after New Orleans levees collapsed during Hurricane Katrina to protect the lake’s aging dike. However, when the rainy season hits, lake levels rise too high too fast, triggering releases. The Corps has begun revising the schedule, which typically takes three years, and planned to have a new schedule in place when dike repairs are finished in 2022. 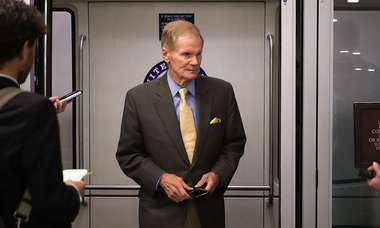 DeSantis also appointed Chauncey Goss to the South Florida Water Management Board, which he clashed with days after his election when the board defied his wishes and agreed to continue leasing sugar fields targeted for the reservoir. DeSantis demanded the board resign. So far, six of the nine members have either resigned or are close to the end of their terms. Three, including the chair, have refused. Goss is a board member of Captains For Clean Water and was deputy staff director for the U.S. House budget committee under former Speaker Paul Ryan. His father, Porter Goss, was the director of the CIA under George W. Bush. After the announcement, the district issued a statement praising DeSantis for his efforts. 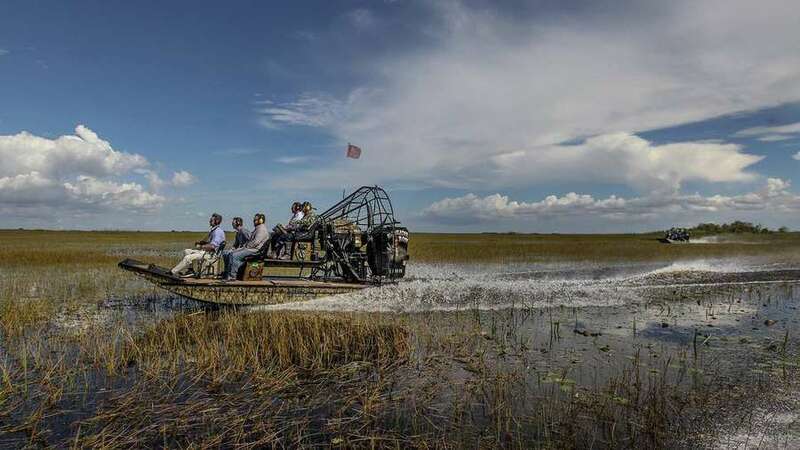 “His recommendation to allocate $625 million for state water resources projects like the Everglades Agricultural Area Storage Reservoir, as well as the actions laid out in his recent executive order, show that Gov. DeSantis is leading the charge to restore and protect Florida families, businesses and the environment,” the statement said.